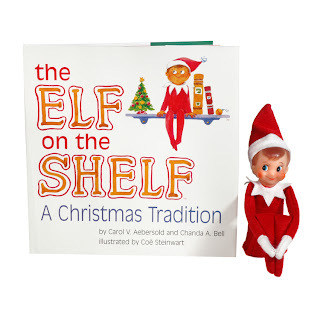 For those of you not familiar with the tradition that is Elf on the shelf, let me direct you to the Elf on the shelf Webpage. In a nutshell, Elf is sent from Santa to keep an eye on your little darlings and magically comes to life at night and reports back to Santa whilst they sleep. He is Santa's eyes and ears! During the night though, whilst he is magic he can be known to get up to all sorts of mischief in typical Cheeky elf style! The children will find him in all sorts of different places each morning and see what naughtiness he has been up to! Elf comes sent from Santa in a special keepsake box with a lovely hardback storybook to read explaining his journey to our house and how he will be observing their behaviour and the magic powers that Santa has given him. Here is our special package from Santa ready for the girls to unwrap in the morning! 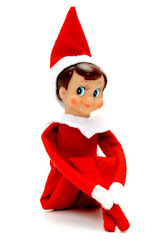 Keep checking back on his blog to see little Elfie's Escapades!